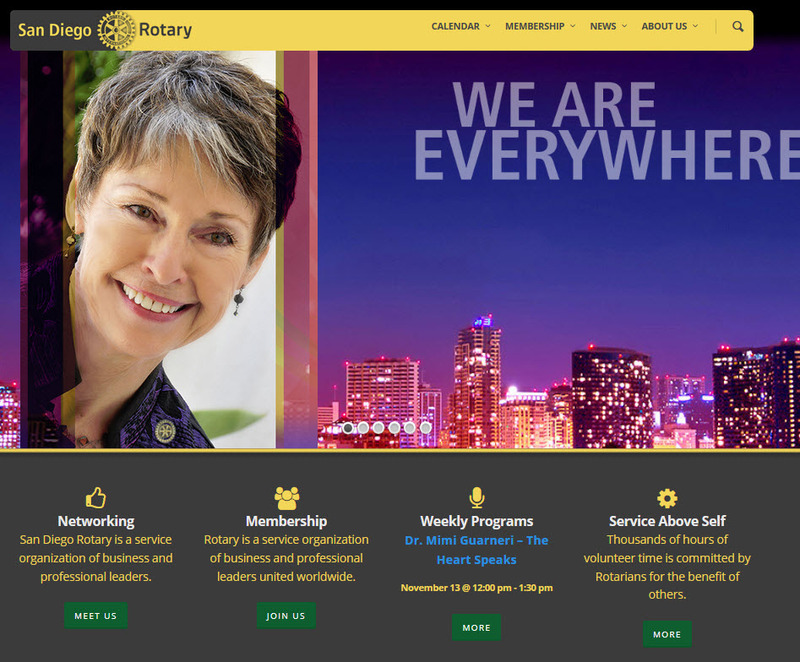 The third largest Rotary Club in the USA used Events Online to rebuild their web site. San Diego Rotary Club 33 has over 500 members. Featured is their extensive Speaker Calendar. Updated web site is WordPress with purchased theme, extensive customization to theme, custom sliders and Plugins, launched July 2014.